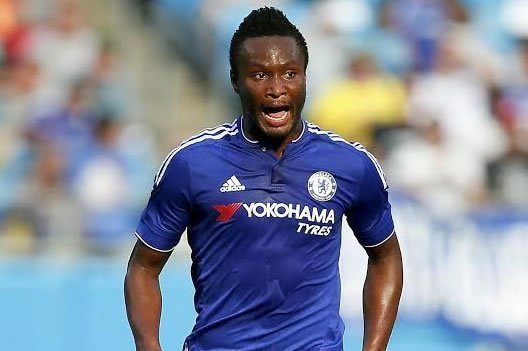 Super Eagles captain John Mikel Obi has said players of the Nigerian senior national team, usually leave the burden of the team financial issues for him to deal with. While speaking on the need for Nigeria to avoid the outrageous financial situations, Mikel said Eagles arrive Zambia less than 24 hours to their first World Cup qualifiers, which they won 2-1. He advised the Nigeria Football Federation (NFF) to on their part make sure that row over pay, which has bedeviled the team in the past are nip in the bud to help the team qualify for the 2018 World Cup in Russia. He promised to do his best to make sure that what happens off the pitch, doesn’t affect the players on the pitch as the race to be in Russia 2018 hots up. “I try to take in all the problems, I deal with it myself and I only speak to the players when there is good news. “I’m sure that’s what they always want to hear from me, I listen to them, we make decisions together – at the end of the day I have to have a final say on what we have to do. “Sometimes you only need one voice, with a single voice I think everything goes smoothly. Lionel Messi is a dad again! Meanwhile, Gernot Rohr has already compiled his list of players for Nigeria’s next World Cup 2018 qualifiers against Algeria in Uyo. The coach according to well-informed sources has dropped five players from the team that defeated Zambia 2-1 away in Ndola, ahead of the November 12 tie. Five players axed from the team have now been confirmed to be three home-based players while two players based abroad were axed. Jamiu Alimi, Chisom Egbuchulam and Godwin Obaje have all been dropped by the German with the foreign-based duo of Kingsley Madu and Musa Mohammed completing the list. Chelsea forward Victor Moses has been handed a recall by the manager, same as Leon Balogun who has recovered from the injury that ruled him out of the team last game. Nigeria’s Rio 2016 hero Oghenekaro Etebo has also been penciled down for a return to the team after injury and work permit issues stopped him from making the list, last time out.